Automobile accidents account for the majority of personal injuries incurred by individuals in the United States and across the world. If the person involved in a collision refuses to stop and exchange insurance, identification information, or summon the police, it is referred to as a hit and run accident and constitutes a criminal offense. The offender may face both criminal and civil liability, with penalties ranging from fines, jail time, and the payment of damages. 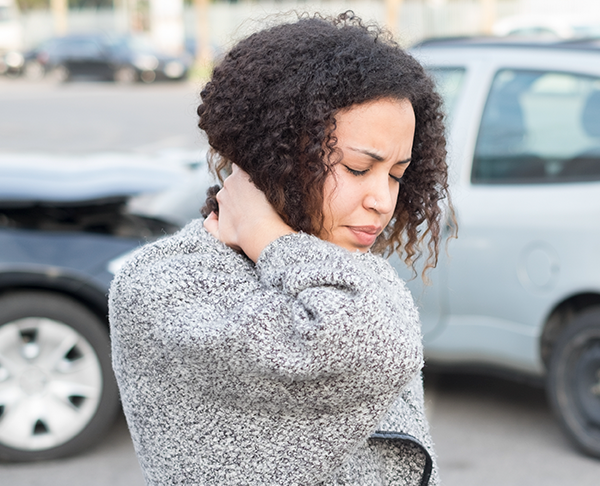 Even an automobile accident can lead to a lawsuit involving multiple parties and multiple theories of liability. Attorney John S. Kalil has the experience required to ensure that your rights are protected. Mr. Kalil will help secure the evidence and expert testimony you need to prove your case, and he will ensure that all potential defendants are brought into the matter. Medical negligence or malpractice occurs when a medical practitioner or health care provider fails to exercise the degree of care expected of a person of ordinary prudence in protecting a patient from the risk of harm. A plaintiff must establish, by a preponderance of the evidence that the defendant had a duty to the patient, that such duty was breached by failing to conform to the required standard of conduct, and that the negligent conduct caused the harm to the patient. Expert witnesses must be obtained to establish the wrongfulness of a medical practitioner's negligence. In addition, the recent push to reform tort litigation has resulted in several procedural hurdles and damage caps in malpractice cases. If you have been the victim of medical negligence, you need Attorney John S. Kalil to aggressively enforce your rights and pursue compensation from the wrongdoers. Mr. Kalil employs a team of experts, such as registered nurses, paralegals, investigators, and various medical expert witnesses to thoroughly establish your case and obtain the maximum amount of compensation to assist you. Motorcycle accident litigation often involves multiple complex issues including the parties' compliance with traffic laws, the calculation of damages, and difficult causation determinations. Moreover, unique insurance provisions apply to motorcycle accidents. Motorcycle accidents frequently result from negligence and may involve personal injury law, products liability law, or a combination of both. Consequently, you need an attorney who is familiar with the unique issues that arise in motorcycle cases. You can trust Attorney Kalil to utilize his years of experience in motorcycle litigation in order to successfully pursue your claim. Nursing homes receiving federal funds must comply with federal regulations concerning staff, care, daily activities, hygiene, nutrition, treatment, and supervision. Nursing home residents are protected by the Nursing Home Reforms Act and Americans with Disabilities Act. If you know someone who is or may be suffering from nursing home abuse, contact the Law Offices of John S. Kalil. Mr. Kalil will take the time to listen and, where the situation warrants, will act quickly to investigate the matter further and protect the victim. Have you been exposed to a chemical or substance that has caused you injury? If so, you may have a claim for a toxic tort -- a special type of personal injury lawsuit. Most toxic tort cases arise from exposure to drugs or exposure to hazardous chemicals or substances through the victim's occupational workplace or the environment, in general. Unfortunately, industrial workers are frequently and regularly exposed to harmful chemicals such as asbestos and/or pesticides. However, because injuries often aren't discovered until the victim has had long-term exposure to the hazardous substance, proving causation requires the careful collection of evidence and expert testimony. If you are the victim of toxic exposure, let us pursue the compensation that you are entitled to. Like automobile and motorcycle accidents, truck accidents often lead to litigation involving multiple parties and multiple theories of liability. Potential defendants in truck accident litigation include not only the driver, but the owner and manufacturers of the truck and its parts, and multiple insurance companies. Trucking accidents account for a high percentage of fatal vehicle accidents. Common causes of a trucking accident include driver fatigue, jackknifing, rollovers, inexperience, and overloaded or improperly loaded trucks. Our team will draw on its experience to explore all potential defendants and all potential theories of liability. Your attorney will guide you through the legal process and successfully represent your best interests. If you've been injured in a trucking accident, we would welcome the opportunity to meet with you and show you why we have so many satisfied clients. A death is wrongful when it is caused by the willful or negligent act of another. 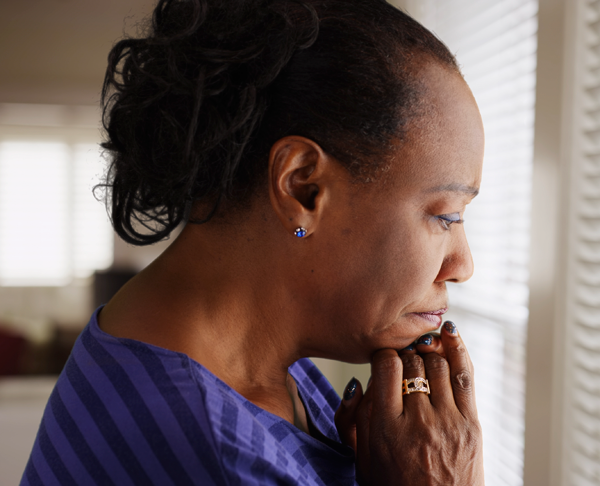 A wrongful death claim is filed by the survivors, heirs, or beneficiaries of the decedent, and any remedy is designed to compensate those survivors for their loss. A wrongful death claim may be based on an intentional, reckless, or negligent act. Plaintiffs are required to prove that the defendant's act was the proximate cause of their decedent's death and establish their entitlement to damages. In calculating damages, courts consider various factors like the age, salary, life expectancy, nature of work, and the physical and mental health of the deceased. Punitive damages may also be awarded if the defendant's act was reckless or intentional. Tort procedures, including the procedures governing wrongful death proceedings, are becoming increasingly complicated. Consequently, you need an attorney who specializes in tort proceedings and who has the resources and contacts required to prove your case. You can trust us to guide you and your family through the complex legal world of a wrongful death action to ensure that the decedent's family is taken care of and compensation is justly paid. The focus of our office is representing people when they are injured through no fault of their own. We pride ourselves on representing individuals and families when they have been wronged because of the negligence of others. We understand the pain and suffering experienced by the injured. Personal injury cases are a wide variety of cases, typically involving the negligence by another person. Whether it be an automobile, motorcycle or trucking accident, wrongful death, catastrophic injury involving serious bodily injury, or any other variety of injury, the Law Offices of John S. Kalil will be able to explain and protect your rights under Florida law. A premises liability action arises when a person suffers an injury that was caused by the improper design, construction, or maintenance of real property. Such injury gives rise to a claim against the possessor or owner of the premises. A premises liability plaintiff may be an invitee, licensee, or trespasser. Typically, a plaintiff is required to prove that reasonable care was not taken by the landowner or possessor, or that necessary precautions or warnings were not displayed. A plaintiff must also establish that the landowner or possessor had knowledge of the defect, that the defendant breached the duty of care to remedy the problem, and that it led to the plaintiff's injury. If you have been injured on someone else's property, first seek medical attention. Your next step is to promptly contact the Law Offices of John S. Kalil to protect your rights and to help you obtain compensation for your injuries. Product liability becomes an issue when a person is injured due to the sale or manufacture of a defective good. The seller and/or manufacturer may become liable if they misrepresented the good or product, negligently manufactured or sold the product, caused a breach of warranty, or failed to warn of a known danger. Product liability claims fall into three main categories: design defects, manufacturing defects, and failure to warn cases. Products causing injury can include household appliances, automobiles, industrial equipment, and airplanes. Liability can arise due to a product's formula, preparation, assembly, installation, testing, warning instructions, marketing, packaging, or labeling. Although product liability is often considered a "strict liability" tort that only requires a plaintiff to demonstrate that the product caused an injury due to the defect, you need an experienced advocate like John S. Kalil to help you obtain the expert testimony and evidence to prove your case. If you have been injured by a defective product, contact the Law Offices of John S. Kalil. You can count on Attorney Kalil's experience and proven success record to assist you in obtaining the compensation you deserve. As more and more tobacco companies have been held liable for the harmful effects of smoking and other tobacco uses, it has become more difficult to maneuver the procedures of tobacco litigation in the courts and to keep abreast of verdicts and settlements in tobacco cases. The tobacco industry is becoming more heavily regulated, and excise taxes are being heavily imposed to cut down on tobacco consumption. In addition, states and insurance companies are filing class action tobacco lawsuits against the companies, seeking medical cost reimbursement. Recent tobacco litigation has produced large verdicts against tobacco companies, and the latest Brooke and Liggett Group settlement is a landmark settlement. If you or someone you know has regularly consumed tobacco products and have incurred injury by doing so, the Law Offices of John S. Kalil can help you obtain your fair share of any class action settlement or pursue litigation against the offending tobacco company to ensure you or your beneficiaries receive compensation for the tobacco companies' deceptive behavior. Law Offices of John Kalil P.A.